is located at 51 Madison Avenue in New York City and was completed in 1928. 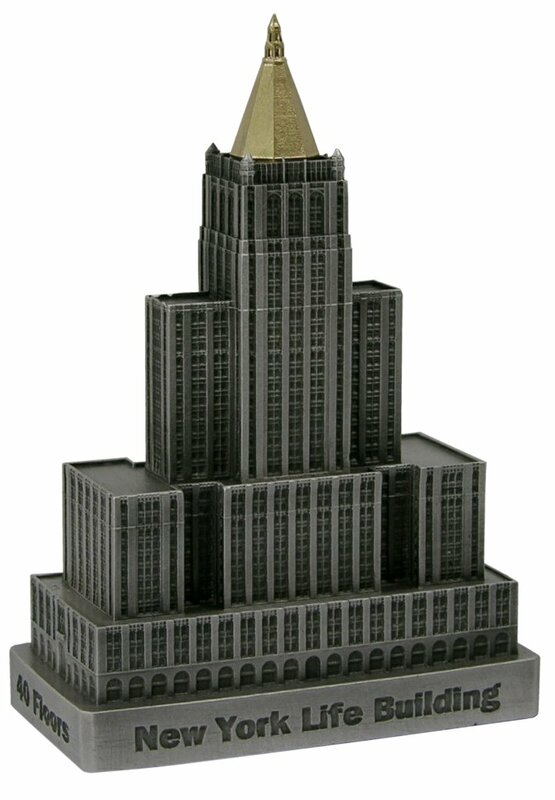 This building was designed by Cass Gilbert and stands 615 feet tall with 40 floors. NY Life occupies the space where the original Madison Square Garden once stood. This pewter replica stands 4-1/2 inches tall and is finished in antique pewter with gold highlights.